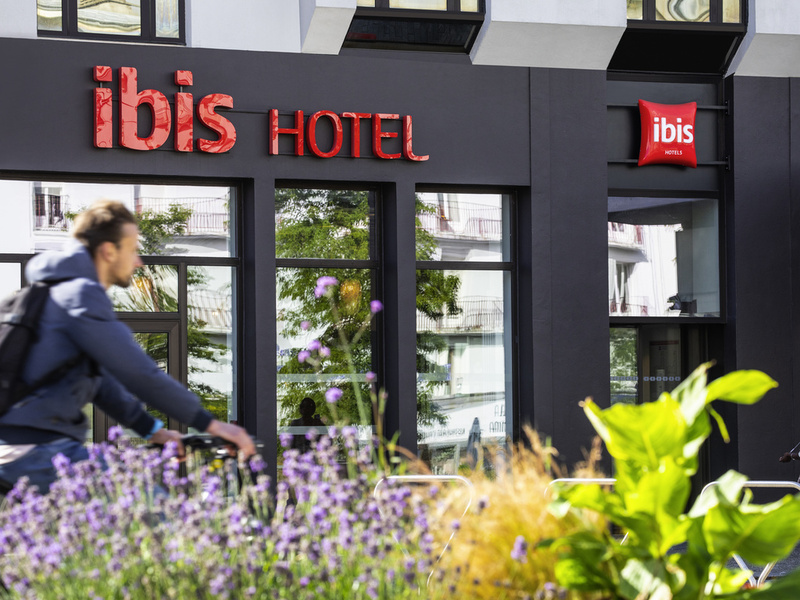 The Ibis Brest Centre hotel is located in the city centre, close to the port and 500 m from the Convention centre. You can explore the Sea museum, and also the aquariums of Océanopolis and the ancient castle built during the Gallo-Roman period. Located 1 km from the railway station and 7 km from the airport, it proposes 71 refurbished rooms for booking, a bar open 24/24, public outdoor parking and Wifi wireless Internet connection for guests on a business trip. At the bottom of rue de Siam, near the Pont de Recouvrance. Near the harbor (ferry links to islands), château (navy museum), Océanopolis, and the Moulin Blanc beach.